We continue our coverage of CES Las Vegas 2013 with our annual trip to the media blitz known as Showstoppers. Listen to Tom interview a barrage of guests as they discuss their products and technologies. 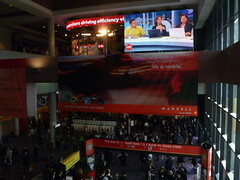 Tom heads out to Las Vegas to cover CES 2012 and interviews multiple venders and discusses various technologies.